As is the case for many medical apps, they are first launched on iOS and then eventually make their way to Android. It makes sense for medical app developers as a large majority of physicians use iOS versus Android. This happened recently with one of our favorite medical apps of the year, Aspirin Guide, a free medical app by a team of Harvard researchers. They released an Android and webapp version. Now another one of our favorite medical apps has finally launched an Android version — OrthoFlow. OrthoFlow was developed by orthopedic surgeons and guides physicians with acute fracture management. We reviewed OrthoFlow earlier in the year and were impressed by the amount of content the app contained. 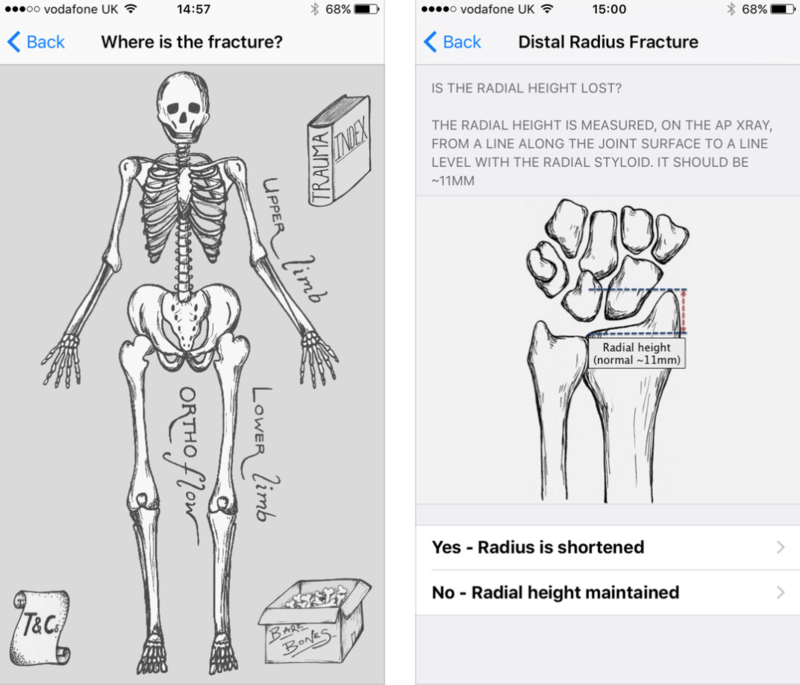 The User Interface in particular is strong as it uses a mixture of pictures and yes / no questions to take you to the specific fracture management recommendations. I have used OrthoFlow in the Emergency Room and the app is easy to use and very useful. My residents have become fans of the app as well. In the past when I would show OrthoFlow to my residents and medical students they would be disappointed if they had an Android device — so it’s nice to see the developers finally create an Android version. It also doesn’t hurt that the price has been reduced to $4.99 now.